To stay true to the Busch brand, we went back to its roots - good, old-fashioned beer ads that make you laugh and move beer off shelves. We brought back one of the most beloved parts of old Busch ads - the BUSCHHHHH can crack. To kick-start our effort we launched during the Super Bowl. "It’s a simple, elegant gag. The spokesman doesn’t oversell it. Pretty much perfect." We responded to fans in real time during the game with Busch branded GIFs. 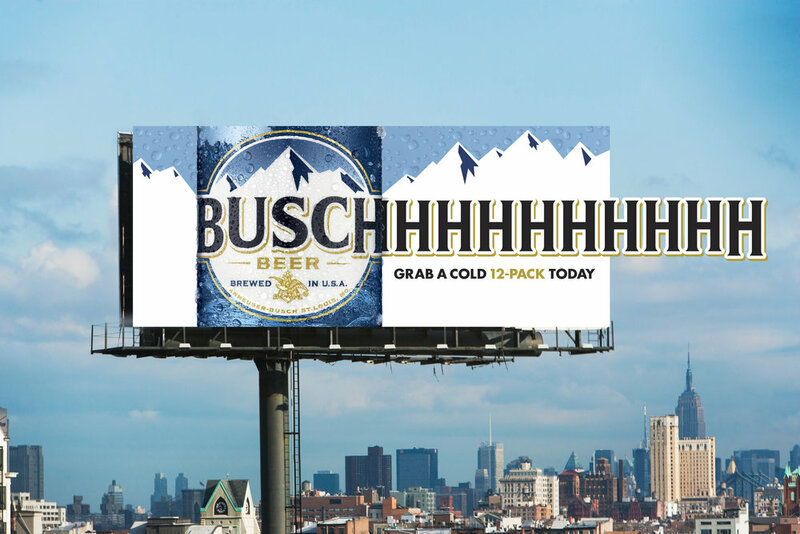 To extend #BUSCHHHHH beyond the game, we created an integrated effort led by a series of commercials featuring what Busch and our drinkers are known for. We launched Busch's Instagram channel where we celebrated the brand's history. We used the grid to create a unique timeline leading up to a teaser for the 2017 campaign. The campaign extended to OOH, print, digital, and beyond.